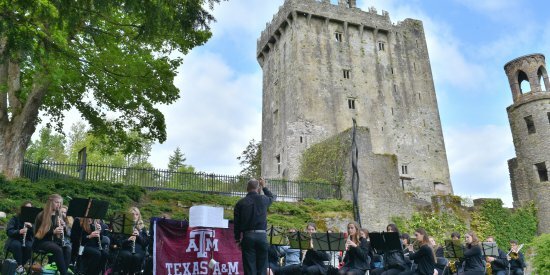 Welcome to the Texas A&M University Bands page. 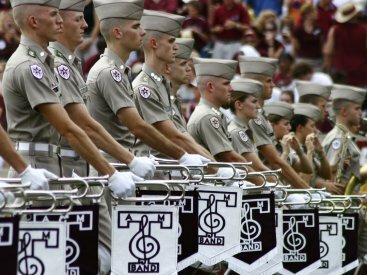 Texas A&M University is proud of its comprehensive band program which includes the nationally famous “Fightin’ Texas Aggie Band”, four concert bands (the Wind Symphony, Symphonic Winds, Symphonic Band and Concert Band) two jazz bands, the Aggieland Dance Orchestra and the University Orchestras (the Philharmonic Orchestra and the Chamber Orchestra). The program serves around 800 students each semester, making it one of the largest programs in the country. 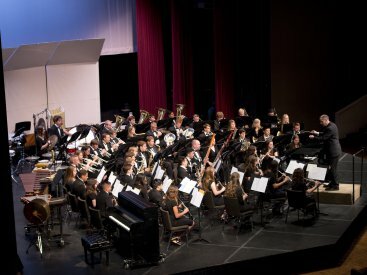 Our groups participate in a wide variety of performances which include athletic events, formal concerts, informal concerts, parades, gatherings and ceremonies. Performance venues span 100,000+ seat stadiums, famous concert halls, national and state music conventions, European cathedrals, small recital spaces, Presidential Inaugural Parades and many others. Our students come from every department and major at A&M. 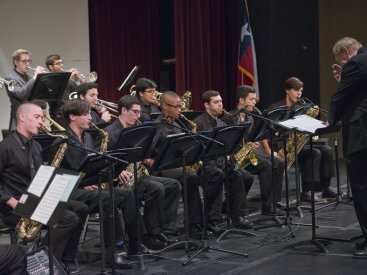 Students find there is time to be a part of the ensembles while maintaining their busy schedule at A&M. 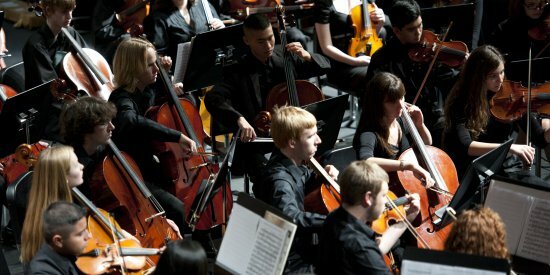 Membership in each of the groups requires prior experience and therefore an audition should be completed before joining any ensemble. You can find more information about each ensemble and its audition requirements by following the links.